There is no dispute that the assessee has purchased the JCB machine vide Invoice dated 3rd June, 2011 and delivery was taken on 6th June, 2011. However, the registration of JCB with the RTO was done on 29.08.2011. We further note that in the registration charges, the RTO has recovered a penalty of Rs. 5708/- on account of delay in registration and, therefore, the delay in registration was regularized by the Office of the RTO by levying the penalty. It is not the case of the A.O. that the assessee has not used the JCB for the business purposes and further when the assessee has received the hire charges from use of JCB during the year under consideration, then the mere delay in registration would not negate the fact of use of JCB by the assessee. It is pertinent to note that the JCB is not a transportation vehicle but a machine used in digging and other excavation of work and, therefore, practically it is possible to use the JCB without getting the registration. Further, when the registration was granted with a penalty on account of delay in registration, the said defect was removed by paying the penalty and accordingly the claim of depreciation on the JCB cannot be disallowed. (1) Addition of Rs. 288492/- being amount of KCC. (3) Addition of Rs. 44370/- for various gifts received u/sec. 68. Ground No. 1 is regarding addition on account of KCC. 2. At the time of hearing, the ld. A/R of the assessee has stated at Bar that the assessee does not press ground no. 1 and the same may be dismissed as not The ld. D/R has raised no objection if the ground no. 1 of the assessee is dismissed being not pressed. Accordingly, ground no. 1 of the assessee is dismissed being not pressed. Ground No. 2 is regarding disallowance of depreciation on sumo car. 3. The assessee has filed the return of income declaring income of Rs. 1,48,880/- under section 44AD of the IT Act as the assessee has not maintained regular books of account. In the assessment proceedings, the AO noted that the assessee has purchased a sumo car on 31stMarch, 2010 at 4.53 PM and, therefore, when the said vehicle was not put to use for his business purposes during the previous year relevant to the assessment year under consideration, the claim of depreciation is not allowable. Hence the AO made an addition of Rs.1,03,226/-. The assessee challenged the action of the AO before the ld. CIT (A) but could not succeed. 4. Before us, the ld. A/R of the assessee has submitted that when the assessee has declared his income under section 44AD and the AO has not found the income of the assessee as less than as required under the provisions of section 44AD, then no further addition is required on account of disallowance of depreciation. He has further contended that when the fact of purchase of car on 31stMarch, 2010 is not in dispute then even if the assessee has used the said car only for one hour, the depreciation as per the provisions of the Act is allowable. 5. On the other hand, the ld. D/R has relied upon the orders of the authorities below. 6. We have considered the rival submissions as well as the relevant material on There is no dispute that the assessee filed return of income and declared the income under section 44AD of the Act. In the computation of total income, the assessee has not claimed the depreciation on the car. However, in the balance sheet as on 31st March, 2010 the assessee has shown the depreciation on the car at Rs. 1,03,226/-. Thus the AO has made the addition of the said amount by taking the said amount of Rs. 1,03,226/- which is considered by the assessee only for the purpose of working out the written down value of the motor car. The assessee has declared the profit @ 17.46% and the AO has not found fault in the profit declared by the assessee under section 44AD. We further note that the profit declared by the assessee is much more than the minimum income to be assessed under the provisions of section 44AD at 8%. Accordingly, in the facts and circumstances of the case when the assessee has filed return of income declaring income under section 44AD of the Act, then the AO could have estimated the income of the assessee if it was found to be less than as ought to have been under the provisions of section 44AD of the Act. Hence the addition made by the AO in the income declared under section 44AD is not justified and the same is deleted. Ground No. 3 is regarding the addition of Rs. 44,370/- under section 68 of the Act on account of claim of gifts. 7. The assessee claimed an amount of Rs. 44,370/- as gift received in cash from various persons. However, neither any details of the gift or persons were furnished by the assessee. Accordingly, the AO rejected the said claim and made the addition of the said amount under section 68 of the Act. On appeal, the ld. CIT (A) has confirmed the action of the AO regarding addition of Rs.44,370/- under section 68 of the Act. 8. Before us, the ld. A/R of the assessee has submitted that the assessee has received total amount of gift of Rs. 44,370/- from various persons in the village at different occasions. Since the amount of gift was very petty, therefore, the assessee did not maintain any record of the gifts and particulars of the persons from whom the gifts were received. The ld. A/R has relied upon the provisions of section 56(2)(vii) of the Act and submitted that gifts received not exceeding Rs. 50,000/- cannot be added to the income of the assessee. Hence he has contended that when no addition can be made of the gifts received less than Rs. 50,000/- under section 56(2)(vii), then the said addition made by the AO is unjustified. 9. On the other hand, the ld. D/R has relied upon the orders of the authorities below and submitted that the provisions of section 56(2)(vii) are not applicable in the case of the assessee as the assessee has failed to establish the claim of gift. Hence when the amount was introduced in the books by the assessee during the year then the AO is justified in making the addition under section 68 of the Act. We have considered the rival submissions as well as the relevant material on record. There is no dispute that the assessee has failed to produce any detail or evidence in support of the claim of gift of Rs. 44,370/- received in cash during the year under consideration. The contention of the assessee is that as per provisions of section 56(2)(vii) no addition can be made if the aggregate amount is less than Rs. 50,000/-. We do not agree with this contention of the ld. 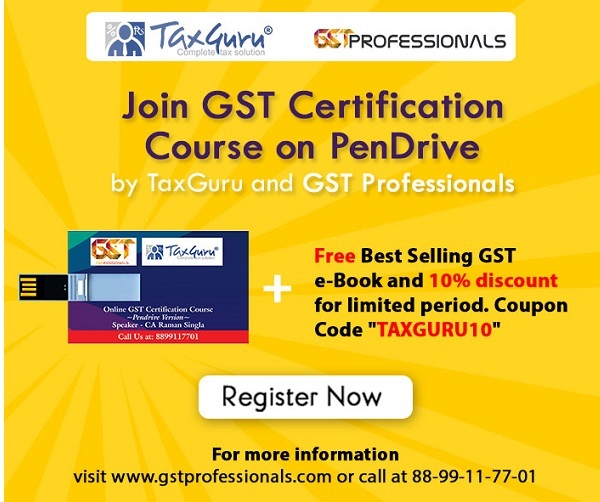 A/R of the assessee because of the reason that the provisions of section 56(2)(vii) are applicable only in a case where the claim of gift is not disputed. In a case where the AO has accepted the claim of gift then in such a situation the gift received to the extent of Rs. 50,000/- cannot be added to the income of the assessee as per the provisions of section 56(2)(vii) of the Act. In the case in hand the claim of the assessee that the said amount of Rs. 44,370/- is the gift received by the assessee from various persons/relatives has not been established either by furnishing any evidence or any details or explanation, therefore, a mere claim of gift would not fall in the ambit of provisions of section 56(2)(vii) of the Act. Therefore, when the assessee has failed to establish the claim of gift then the said amount has to be added as unexplained cash credit under section 68 of the Act. Accordingly, we do not find any error or illegality in the orders of the authorities below, qua this issue. (1) Addition of Rs. 297961/- for kcc account. (2) Addition of Rs. 40314/- for various gifts received u/sec. 68. Ground.No.1 is regarding addition on account of KCC. 12. At the time of hearing, the ld. A/R of the asseessee has stated at Bar that the asseessee does not press ground no. 1 and the same may be dismissed as not pressed. The ld. D/R has raised no objection if the ground no. 1 of the assessee is dismissed being not pressed. Accordingly, ground no. 1 of the assessee is dismissed being not pressed. Ground No. 2 is regarding the addition of Rs. 40,314/- under section 68 of the Act on account of gifts received. 13. We have heard the ld. A/R as well as the ld. D/R and considered the relevant material on record. This issue is common and identical to the issue raised in ground 3 for the assessment year 2010-11. Accordingly, in view of our finding on this issue for the assessment year 2010-11, this ground of the assessee stands dismissed. (1) Addition of Rs. 289881/- for kcc account. (2) Addition of Rs. 339635/- for disallowance of depreciation on JCB. (3) Addition of Rs. 43,215/- for various gifts received. 15. At the time of hearing, the ld. A/R of the assessee has stated at Bar that the assessee does not press ground no. 1 and the same may be dismissed as not pressed. The ld. D/R has raised no objection if the ground no. 1 of the assessee is dismissed being not pressed. Accordingly, ground no. 1 of the assessee is dismissed being not pressed. Ground No. 2 is regarding disallowance of depreciation on JCB. 16. The assessee has purchased JCB on 3rd June, 2011 and claimed depreciation on the same. The AO noted that the registration of JCB was done with the RTO only on 29.08.2011, therefore, the AO has allowed depreciation for 180 days as against the claim of depreciation for full year. Thus the AO has disallowed 50% claim of The assessee challenged the action of the AO before the ld. CIT (A) but could not succeed. 17. Before us, the ld. A/R of the assessee has submitted that the AO has not disputed that the assessee has purchased the JCB on 3rd June, 2011 though there was a delay in registration of the said vehicle/JCB with the RTO. However, the assessee has been using this JCB for his business purposes and earning the income during the year under consideration. The ld. A/R has further pointed out that the RTO has levied a penalty of Rs. 5,708/- on account of delay in registration and, therefore, the registration was granted by the RTO with effect from 11th June, 2011. Hence the ld. A/R has submitted that the assessee is eligible for depreciation on the JCB for full year instead of 50% restricted by the authorities below. 18. On the other hand, the ld. D/R has submitted that no vehicle can be used prior to the registration and, therefore, the assessee’s claim is not allowable when the registration of the JCB was done on 29.08.2011. He has relied upon the orders of the authorities below. 19. We have considered the rival submissions as well as the relevant material on record. There is no dispute that the assessee has purchased the JCB machine vide Invoice dated 3rd June, 2011 and delivery was taken on 6th June, 2011. However, the registration of JCB with the RTO was done on 29.08.2011. We further note that in the registration charges, the RTO has recovered a penalty of Rs. 5708/- on account of delay in registration and, therefore, the delay in registration was regularized by the Office of the RTO by levying the penalty. It is not the case of the A.O. that the assessee has not used the JCB for the business purposes and further when the assessee has received the hire charges from use of JCB during the year under consideration, then the mere delay in registration would not negate the fact of use of JCB by the assessee. It is pertinent to note that the JCB is not a transportation vehicle but a machine used in digging and other excavation of work and, therefore, practically it is possible to use the JCB without getting the registration. Further, when the registration was granted with a penalty on account of delay in registration, the said defect was removed by paying the penalty and accordingly the claim of depreciation on the JCB cannot be disallowed. In view of the above facts and circumstances of the case, we allow the claim of depreciation on JCB. Ground No. 3 is regarding addition of Rs. 43,215/- under section 68 on account of gift. 20. The issue raised in ground no. 3 is identical to issue raised in ground no. 3 for the assessment year 2010-11. In view of our finding on this issue for the assessment year 2010-11, this ground of the assessee stands dismissed. 21. In the result, appeal of the assessee for the A.Y. 2010-11 is partly allowed, appeal for A.Y. 2011-12 is dismissed and appeal for the A.Y. 2012-13 is partly allowed.